As we’ve talked about several times on this blog, Birmingham is a city of huge, somewhat surprising diversity. Be it as a shopping destination, a night out location, or as a city of culture, Birmingham is incredibly varied, from the canal systems that loop around the lower levels of the city, right up to the giant buildings that dominate the skyline. But apparently, locals and tourists alike don’t take much advantage of this jumbled up geography by way of cycling. According to these statistics from 2011, we don’t rank within the top 20 places for regular cycle use, meaning less than 8% of the population of Birmingham cycle more than three times a week. To us, that seems ridiculous! So here are some reasons why the people of Birmingham’s should considering dusting off their saddles. . .
We’ve all seen the congestion in London, and the hell it must bring to the cyclers in the capital. It has got to the point that they are considering building raised roads just for cycle use. England’s second city, however, is much less crowded. 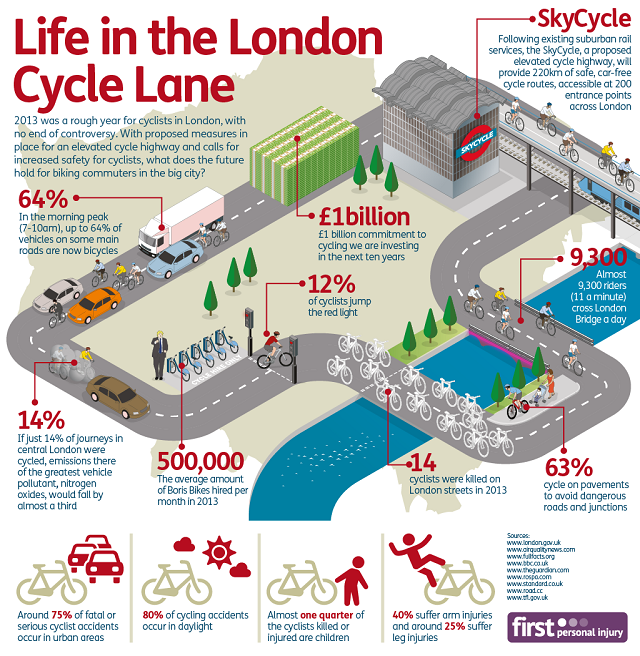 Sure, peak times can see the roads clog up, but not the the extent London’s roads become jam packed. Otherwise, traffic runs fairly smoothly throughout the day and night, only getting better the further out of the city you travel. And even if the roads are busy, you could always. . .
You may have heard about how many more miles of canals we have than a certain Italian city. Why not utilise them! Not only do they criss-cross the city, opening almost everything up to cycle travel, but they offer a unique view of the city for sightseers. They are rarely busy, so you won’t be constantly dodging around pedestrians. Plus – no cars! Another benefit Birmingham has over a lot of places is it’s relatively compact nature. The greater Birmingham area is colossal, but most of it’s attractions are with 10 minutes of each other. Even those further out of the way aren’t that much of a stretch – Cadbury World and all three major football teams in the area (Aston Villa, Birmingham City and West Bromwich Albion) can be reached by cycling in less than half an hour. All of these specific reasons don’t touch on the other, inherent benefits of cycling in general. If you feel your life is too hectic to fit in a trip to the gym every day, cycling can be a great alternative. Plus if you cycle to and from work, your petrol bills will see a sharp decline. Whatever you choose to do, however, please check this advice, and stay safe out there.